Over the coming days, you will start to see new features in Google Now on Tap that make the tool more useful in the moment than ever, well, assuming you deal with flights or package tracking on a regular basis. In a way, this is Google taking you out of the old Google Now panel and allowing you to do some of that magic in the now. And maybe that’s the way this will all play out or is the way Google envisioned it. This morning, Google announced that you will soon be able to launch Now on Tap (press and hold your home button in Marshmallow) when looking at a text message with flight info that a friend sent over. That Now on Tap initiation will provide you with in-the-moment flight information, so you can then get back to your text message about when you’ll pick that friend up. Another new feature is package tracking while you have a confirmation email within view. Launching Now on Tap here will give you the latest on the package’s status, again, without having to leave your current screen. Outside of those new tools, Google is also adding related articles to Now on Tap screens, so that if you need to read additional information on a story you are currently reading, you’ll get suggestions. And finally, Google is adding language support for French, German, Spanish, Italian, Russian and Korean. Google didn’t say that an app update is rolling out, only that you should “start seeing all these features over the coming days.” It sounds like Now on Tap is capable of doing all of this stuff now, you just need Google to flip the switch behind-the-scenes. Let us know if you see it! Would love to see what these new screens look like for flight and package tracking. 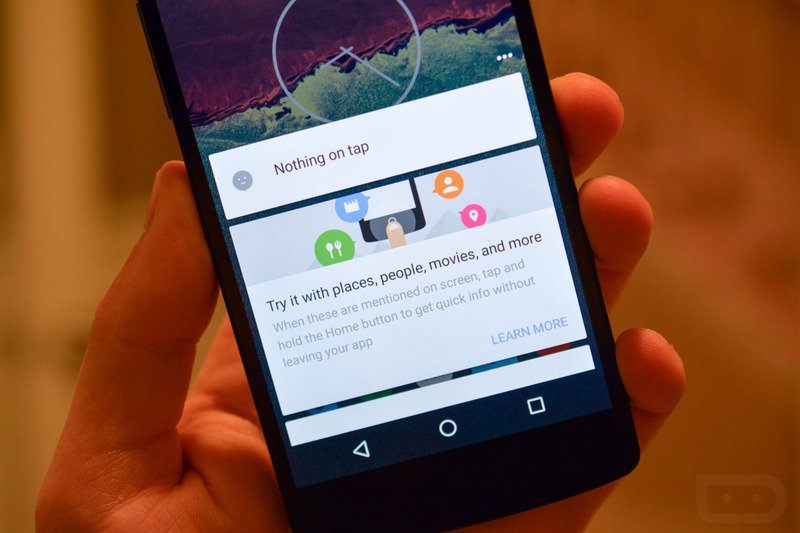 Nexus 6 Update to Android 6.0.1 Rolling Out, OTA Files Here!